Introductory offer: Free delivery, further discounts! Order today, receive your rice at work or at home, and enjoy! Now Selling at more than 200 Locations! 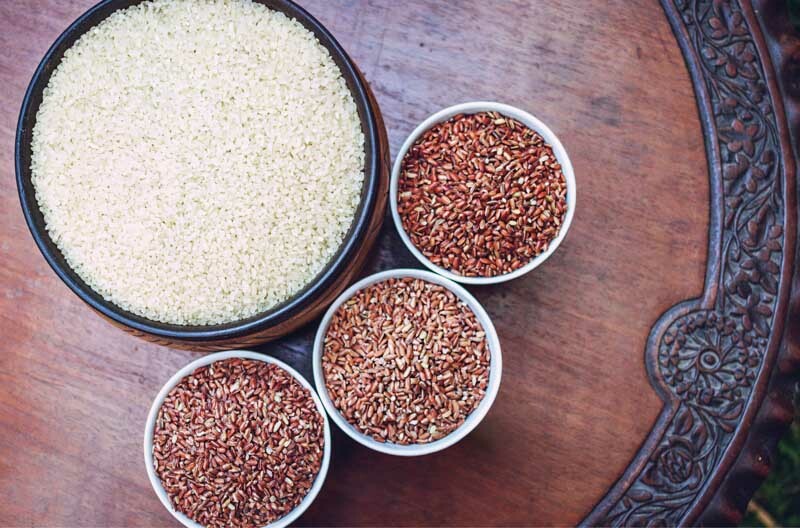 Rural Returns and our partner communities are pleased to share the growing list of retailers stocking your favorite "Ayu" branded heirloom Sri Lankan rice - go ahead, try some! Find recipe ideas here. Remember to check back often for more stores and more recipes! Interested in selling the rice that everyone's talking about and no one can get enough of? Click here! Like us on Facebook! Rural Returns on Facebook. The Ayu Experience on Facebook. Buyer Beware - In the U.S. market the Rural Returns name and mission (and Intellectual Property) are being misrepresented, co-opted and subverted for purely commercial gain by a former business partner. More details here. In the mean time, remember that the authentic Rural Returns and Ayu Experience stand for sustainable, mission-driven, market-oriented rural livelihood improvement. Trust is the most important part of our business, and we take it very seriously. Please contact us any time if you find or suspect any issues, or have any questions at all. Rural Returns (Guarantee) Limited is a non-stock, non profit company limited by guarantee in Sri Lanka.